The UNRWA described it humanitarian aid which found its way recently into Al-Yarmouk refugee camp, south of Damascus, as a drop in the ocean and insufficient. The UN agency said that after repeated attempts and 204 days of starvation in the besieged camp of Al-Yarmouk, it managed during the last two weeks to bring in only 3,709 food parcels. The UN agency called on the parties to the conflict to provide safe and regular access for its humanitarian aid to Al-Yarmouk camp and other civilian areas throughout Syria. It noted that the residents of Al-Yarmouk camp die of hunger, malnutrition and diseases that can be easily cured, adding that the children and the elderly are the most vulnerable to death. The UNRWA called for donating to Al-Yarmouk refugees through its website, affirming that $34 could save a family of five individuals and feed them for two weeks. For its part, the action group for the Palestinians in Syria said that the number of the Palestinian refugees who died of hunger and malnutrition in the besieged camp of Al-Yarmouk rose to 97 victims after four others, including two children, were proclaimed dead on Monday. 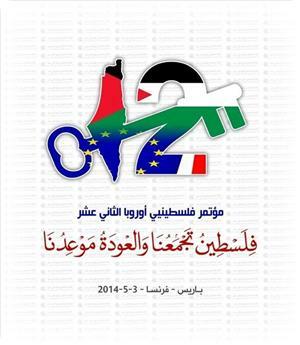 Palestinian organizations in Europe declared their initiation of the preparatory procedures for the holding of the 12th Palestinians in Europe conference in Paris on the third of next May. The organizers are the secretariat of the 12th Palestinians in Europe conference, the Palestinian return (Awdah) center in London and the Palestinian forum in France. Secretary-general of the conference Adel Abdullah said the holding of the conference is an important event for the Palestinian communities in Europe to renew their adherence of their right to return to their homeland. For his part, chairman of the conference Majed Al-Zair said that the event would focus this year on the right of return as an inalienable right. Zair added that the affairs of the Palestinians in Europe, the tragedy of the Palestinian refugees in Syria, the blockade on Gaza, occupied Jerusalem and other Palestinian issues will be addressed during the deliberations and activities of the conference. Khulud Shehab's withered hands push two of her children out of Yarmouk in southern Damascus, anxious to flee the hell and hunger of the Palestinian refugee camp as fast as possible. Khulud and her family are among the lucky few to be allowed to leave, after a deal was struck following months of negotiations between Syrian authorities and Palestinian factions in Yarmouk. "Just look at them. You can imagine what it's like inside," Khulud tells an AFP journalist, displaying her cracked hands. "It's disastrous. People are literally dying of hunger," says the slight and dark-eyed mother. "We were boiling herbs and bits of cactus we found in the fields near our house," to eat and survive, she adds. The camp began as a home for Palestinian refugees in the 1950s, but Yarmouk evolved over the decades into a bustling residential and commercial district, home to some 150,000 Palestinians as well as Syrians. It became a war zone when rebels who took up arms against President Bashar Assad moved in and won the support of some Palestinian groups in the fight against regime forces. The violence forced tens of thousands of residents to flee but an estimated 18,000 remained trapped inside Yarmouk after the army imposed a total blockade on the camp last June. Despite some false starts, aid began entering Yarmouk in January and some of the trapped residents were allowed to leave for humanitarian reasons. "Seeing the road open like this is the best thing that has happened to me in a long time," says Khulud. "I'm overjoyed to be able to leave, and I hope that the others will be able to follow." The UN agency for Palestinian refugees, UNRWA, first distributed aid in the camp on Jan. 18 and then again from Thursday to Sunday. 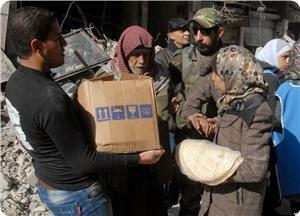 UNRWA spokesman Chris Gunness said at least 3,709 food parcels have entered Yarmouk since January 18, with large crowds gathering at distribution points. Palestine Liberation Organization official Anwar Abdul Hadi said at least 450 people have been allowed to leave -- mainly women, children and elderly men. "Letting civilians leave eases the suffering of residents," he tells AFP, hoping that more will follow. "I don't know where I'm going to go, but I absolutely wanted to get out, even if I had to sleep in the street," she says. Her first priority was to get to the paediatric hospital in Damascus's Mazzeh district to seek treatment for a son suffering from acute malnutrition and who has developed muscular dystrophy. "We contact a doctor in the camp who can judge which cases are most urgent," Omari says. Gunshots ring out as Umm Alaa, Khulud and others leave Yarmouk and Palestinian Red Crescent ambulances enter to evacuate those too ill to walk. At the Batikha roundabout, 15 Red Crescent volunteers hand out sesame seed biscuits and water to those staggering out of Yarmouk and write down their names. Outside Yarmouk a huddle of relatives stands waiting for loved ones. Hundreds of patients, injured people, children and pregnant women have been evacuated from the Yarmouk refugee camp in Damascus to hospitals in nearby neighborhoods, a Syria-based Fatah official said. About 100 people are being evacuated every day. Elderly men and women and patients suffering chronic diseases are evacuated by ambulances. However, there hasn’t been any group migration, he confirmed. distributed in the camp every day. The humanitarian aid, he said, is funded by the PLO, President Mahmoud Abbas’ office, Japan and Kuwait. “Nobody will be out of food as humanitarian aid will continue to flow into the camp thanks to coordination between the Palestinian and Syrian Red Crescent societies, Syrian officials and the PLO,” he pledged. The Palestinian Red Crescent Society confirmed that hundreds of patients, children and elderly people were evacuated from the camp after cooperation with the Syrian Red Crescent and the UN agency for Palestinian refugees UNRWA. The Red Crescent highlighted that dozens of volunteers joined its teams who worked in the camp. Serious cases were evacuated to al-Mazza Hospital in the Damascus outskirts which is affiliated to the Palestinian Red Crescent. Two Palestinian refugees were killed in Syria due to ongoing siege on the Palestinians camps in Syria, a right group said. 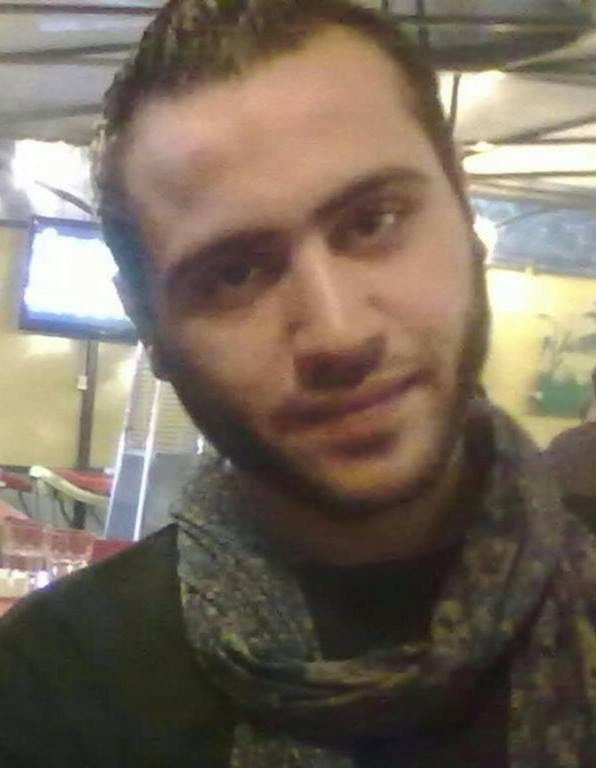 Action group for Palestinians in Syria said that Maher al-Sayed,26, from Yarmouk refugee camp was killed due to torture in Syrian regime prison. 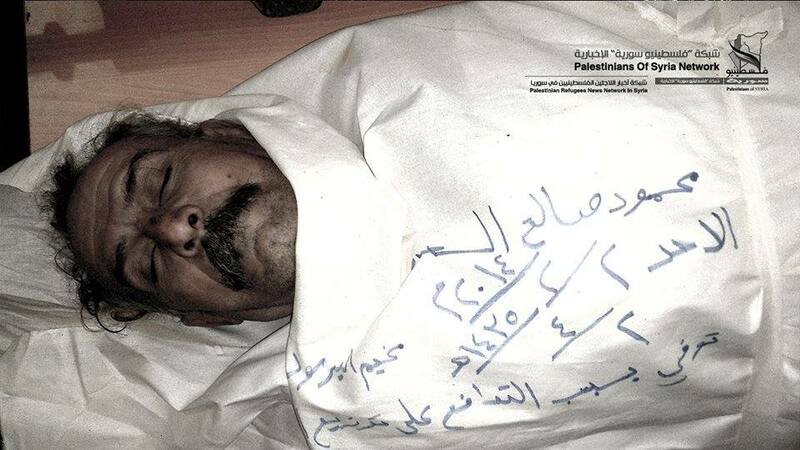 According to the statement, Mahmoud al-Saadi died while he was trying to get food aids. The group said that large crowds and long lines of people were bushing each other to get the food aids which lead to the death of al-Saadi. 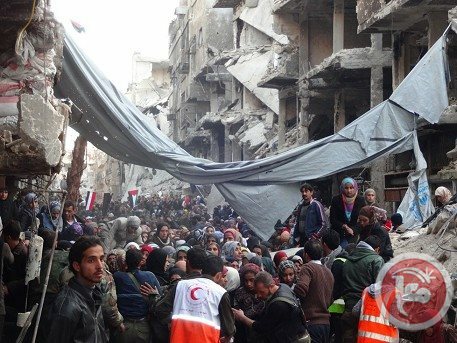 The UN agency for Palestine refugees on Sunday distributed 715 food parcels in Yarmouk refugee camp in Damascus, adding to the thousands distributed since gaining access to the camp in January. However, an activist stated that till this monument thousands of families didn’t get any food aids. He explained that there are nearly seven thousands families in the camp, while the distributed food aids were only three thousands. A Palestinian official said that 163 patients were also evacuated to hospitals and medical centers outside the camp. Thousands have fled the camp, while the remaining residents -- who are estimated to number around 18,000 -- have faced extremely severe conditions in recent months, with reports that dozens have starved to death. Two Palestinian refugees from Al-Yarmouk refugee camp were proclaimed dead on Sunday, one of them was tortured to death in a Syrian detention center. The action group for the Palestinians in Syria said that 26-year-old Maher Al-Sa'yad died after his exposure to nine months of excruciating torture in a Syrian jail. Sa'yad was one of Al-Yarmouk residents and kidnapped from the camp by gunmen believed to be affiliated with the Syrian regime. The action group added that another Palestinian from the camp also died after he was trampled underfoot by stampeding crowds trying to get humanitarian aid near Al-Rayjah square. In another incident, the action group said an armed group affiliated with the Syrian regime and the general command of the popular front kidnapped Fouad Abu Basil, the head of the Palestinian national committee, which mediates between the regime forces and the armed groups inside Al-Yarmouk camp. UNRWA spokesman Chris Gunness reported that large crowds and long lines of people waited for the food, which attested "to the enormous humanitarian need and the desperation of a sizeable number of civilians." "We must accelerate the pace of distribution," he said, adding that "there is an absolute necessity for continuous, uninterrupted and substantial humanitarian access to Yarmouk for the long-term," not only for days at a time. President Mahmoud Abbas Sunday recieved UNRWA Commissioner General Filippo Grandi in the presidential head quarters in Ramallah where they discussed the agency’s work for the refugees. Abbas discussed refugees’ difficult conditions in Syria, stressing the need for UNRWA to continue providing aid to them to ease their suffering. They also discussed the importance of UNRWA’s aid to refugees’ camps in the Palestinian Territory. Prime Minister Rami Hamdallah also attended the meeting. Jordanian dignitaries and citizens participated on Saturday in the inauguration of the popular meeting for the protection of Jordan and Palestine against Kerry's peace plan in the Jordanian capital Amman. Former Chief of the Muslim Brotherhood in Jordan Salem Falahat said the Jordanian people reject Kerry's proposals, which are aimed to liquidate the Palestinian cause, and threaten the interests of the Jordanian and Palestinian peoples. Organizers of the event expressed in a statement their refusal to recognize the Jewish state and the principle of land swap. The statement also stressed the Jordanian people's support for the national rights of the Palestinian people, especially their right to return to their homes, and their struggle for the liberation of Palestine. Participants in the forum emphasized their rejection of all attempts to eliminate the right of return and give the Palestinians alternative homelands. 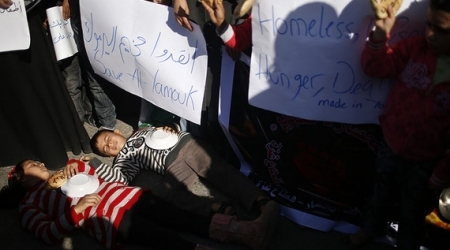 Palestinian children lie on the ground in Gaza City as they take part in a rally to show solidarity with Palestinian refugees in Syria's main refugee camp, Yarmouk. Never in recent memory has any single issue or location unified Palestinians as much as the starvation of the besieged Yarmouk refugee camp just outside Damascus. The camp, one of the biggest in Syria, has been a target of the internal Syrian conflict, with some opposition forces holed up inside and government forces keeping a tight siege on the camp. For weeks, Palestinian TVs and radio waves have been covering nonstop the siege of Yarmouk. Political leaders are paraded, news of the status of the food shipment updated every hour and a fund-raising campaign has also been initiated. The save Yarmouk drive was not confined to official TVs. Social media, local groups, demonstrators and communities inside Palestine and out and on both sides of the Syrian crisis have all been recruited to give attention to the besieged camp. 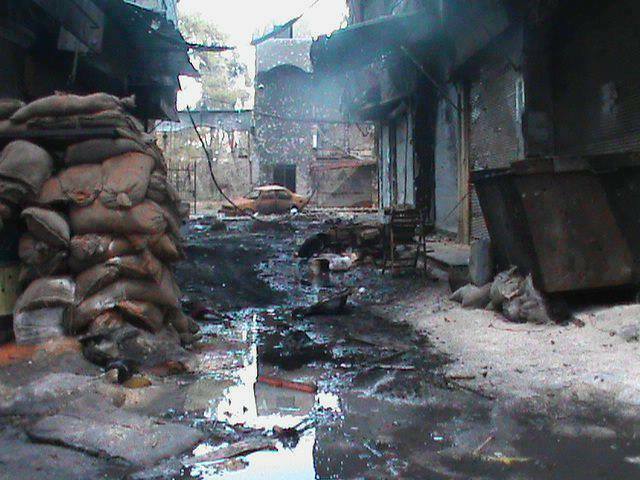 The name Yarmouk was even publicly stated during the opening sessions of the Geneva II conference in Switzerland. What is remarkable is that the save Yarmouk initiative has infiltrated all fields and has been adopted and picked up by political groups that have not seen eye to eye. Fatah not only seems to be the lead faction paying attention to Yarmouk and its destiny, but also all Palestinian groups, including Hamas, have also joined the bandwagon, collecting donations and making public declarations. Palestinians and their supporters in Jordan, the Gulf and other diaspora locations have also experienced public rallies and fund-raising campaigns. A New York newspaper falsely claimed that UNRWA was not doing anything about Palestinian refugees in Syria. Palestinian activist Ali Abunimah quickly replied to the false report in the New York Post by giving specific details of how UNRWA has been leading in the campaign to address the status of Palestinian refugees in Syria and especially Yarmouk. It is not clear what has made the save Yarmouk story so unifying. The image of a Palestinian child in Yarmouk holding a loaf of bread with the words Yarmouk has gone viral. In addition, the fact that Palestinian refugees are forced to search again for shelter after years of living in refugee camps has broken even the toughest of hearts. Politically, the timing of the campaign is convenient for various groups. Fatah feels that leading the campaign shows that it is still the leading Palestinian national movement and that despite rumors about selling out the refugees in current talks with the Israelis, it hasn’t given up on the rights of refugees, including those in Syria, to return. 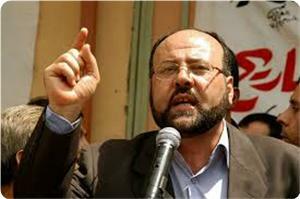 The Islamist movement Hamas called on all militias to leave the besieged camp. Palestinian anger and frustration has produced some relief for the besieged Palestinian camp, but that relief was short-lived. According to the Associated Press, after a number of convoys succeeded in entering, shots targeted the aid trucks, making it clear that this is all that will be allowed in for the time being. 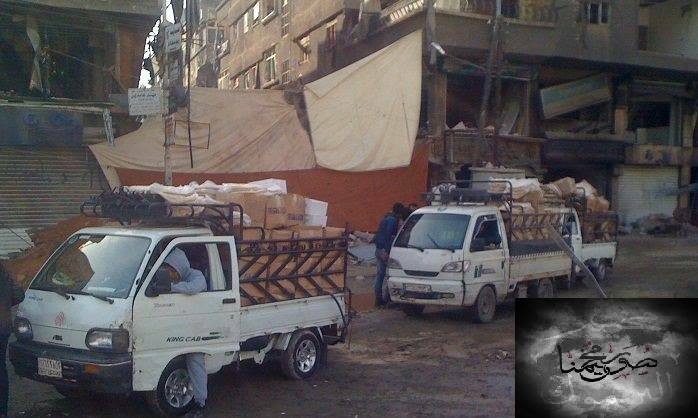 This sudden slowdown of humanitarian aid has not stopped the popular campaign to save Yarmouk. While the campaign has produced food and funds for the camp, its biggest success has been that it has refocused for many the Palestinian tragedy, which is personified by Palestinian refugees still living outside their homes and without the shelter, protection and support of their own state. Hamas representative in Lebanon Ali Baraka reiterated his Movement's rejection of any US plan to resettle the Palestinian refugees and find an alternative homeland for them. In a press release, Baraka warned against any US peace solutions, saying they are aimed at liquidating the Palestinian cause and obliterating the right of return. The Hamas official called on the Lebanese government to provide the Palestinian refugees in the country with the civil rights enshrined in international law and secure a decent life for them. In another context, Martin Indyk, the US envoy to the Israeli-Palestinian negotiations, said that the US-drafted framework agreement that would be presented soon to the Palestinian and Israeli sides would allow about 80 percent of the Jewish settlers in the West Bank to stay in their settlements under Israel's sovereignty. Indyk told heads of the Jewish community in the US on Thursday that the framework agreement was drafted by the White House in order for both sides to confront their internal pressures and would include points they could not dare to say. The US envoy also said that both sides would not be surprised at the contents of the agreement because it crystalized after long consultations with Israeli premier Benjamin Netanyahu and Mahmoud Abbas. He stressed that Netanyahu and Abbas would have to accept the US-drafted agreement as a basis for continued negotiations, but they still could make reservations on some of its points. The US official expressed his belief that Abbas would allow Jewish settlers to remain as citizens of the Palestinian state if they wanted to. Indyk did not talk about the status of Jerusalem if both sides signed the agreement, but he highlighted some other sensitive issues such as the security arrangement for the border between Jordan and the West Bank. He explained that a new security zone would be created, with new fences, sensors and unmanned aircrafts. The US-made deal would address compensation for Jews from Arab lands as well as compensation for Palestinian refugees, according to him. Aid distribution in the besieged Yarmouk Palestinian refugee camp in Damascus continued for the third day in a row on Saturday, as UNRWA passed out hundreds of food parcels and PLO officials reported thousands more had been given out the day before. Spokesperson for the UN's Palestine refugee agency UNRWA Chris Gunness told Ma'an on Saturday that UNRWA workers on the ground had managed to distribute "480 food parcels (on that day), bringing to 2,624 the total number of food parcels we have distributed since UNRWA gained access to the camp on 18th January." "It is important to note that an UNRWA food parcel will feed a family of between five and eight people for ten days. There are approximately eighteen thousand Palestinians in the camp that remain from a pre-conflict population of about 160,000. It is estimated that there are non-Palestinian civilians also trapped in Yarmouk," he added. Although Gunness acknowledged that all parties in the conflict were facilitating the delivery of aid into Yarmouk, he said that "UNRWA has called repeatedly for substantial, secure and permanent access for all civilians living in the camp" amid reports of "widespread malnutrition and women dying in childbirth for lack of medical services." "The continuing delivery of humanitarian assistance in Yarmouk demonstrates that this is possible in other areas where civilians are trapped and besieged," he added. Meanwhile, a PLO official said in a statement received by Ma'an on Saturday that more than 2000 food parcels has entered the besieged camp on Friday. Chief of the politburo of the Palestine Liberation Organization Anwar Abd al-Hadi said in a statement received by Ma'an on Saturday that 2129 food parcels weighing 30 kilograms each entered the camp. University students, added Abd al-Hadi, will be allowed to leave the camp on Saturday. Three Palestinians have died in the besieged Yarmouk refugee camp in Damascus, a Syria-based group said Saturday. A statement from the Workforce for Palestinians in Syria said in a statement that a newborn baby girl and an elderly woman died Friday of malnutrition and lack of medical care, while a young man was killed in clashes on the outskirts of Damascus. The dead were identified as one-month-old Rawan Riyad Talib, Hamdah Said Eshtawi, and 22-year-old Wasim Hussein Zaamout. 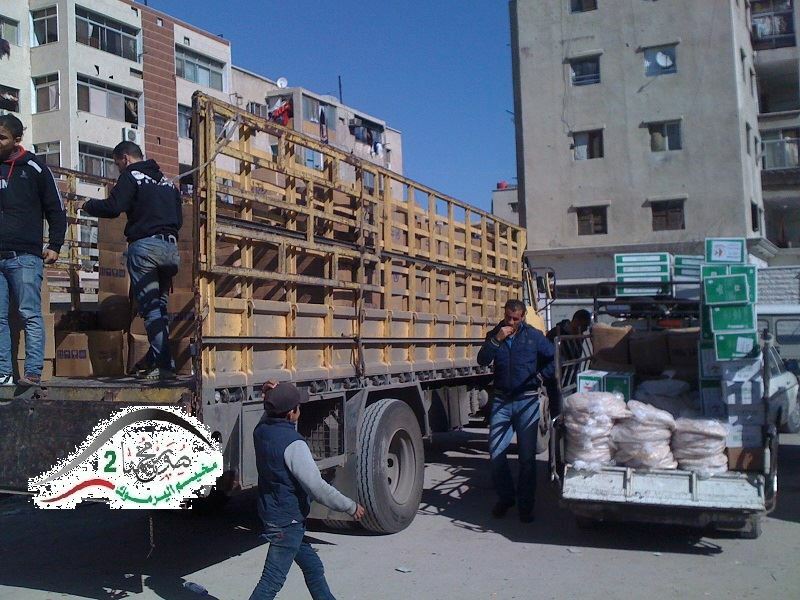 Also Friday, the UN agency for Palestinian refugees delivered food aid to Yarmouk, the statement confirmed. It added that several patients suffering from critical illnesses were transferred outside the camp for treatment under supervision of the Palestinian Red Crescent. Meanwhile, the statement said that the Popular Front for the Liberation of Palestine -- General Command had arrested a young Palestinian man named Qutayba Salem, without providing further details. Dozens of refugees in Yarmouk have died from hunger and a lack of medical care since a siege was imposed on the camp in June by Syria's army. The 18,000 residents that remained have been forced to eat stray animals to survive amid crippling food shortages. A Palestinian infant and an elderly woman have starved to death in Yarmouk refugee camp, south of Damascus, increasing the victims of starvation to 89 in the besieged camp, Action Group for Palestinian Refugees in Syria said. The 40-day-old infant Rowan Riad Taleb and the elderly woman Hamda Said Shtiwi died in Yarmouk refugee camp due to dehydration and lack of food and medical care in the camp, the Action Group explained. The Group also pointed out that the Palestinian Wassim Hussein, 22, died during armed clashes in a Damascus Suburb. 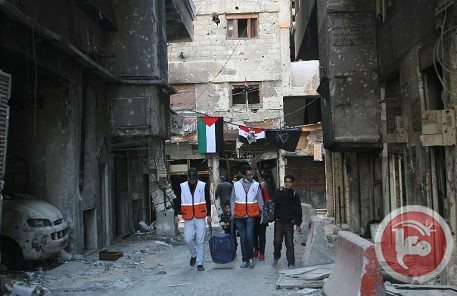 The Group confirmed the distribution of food aid to the besieged Palestinian refugees in Yarmouk camp for the second day, noting that many serious cases were transferred to receive treatment outside the camp under the Palestinian Red Crescent supervision. Dozens of refugees in Yarmouk have starved to death due to the lack of basic human needs and medical care after imposing a tight siege on the camp by the Syrian regime for more than 200 days. 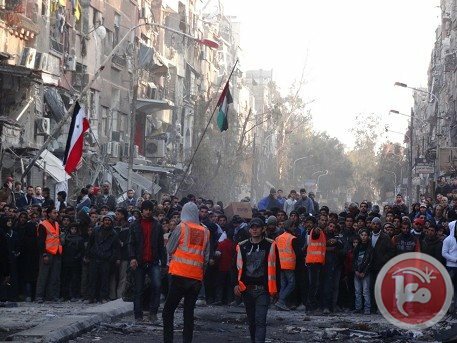 The UN agency for Palestinian refugees on Friday delivered food aid to refugees in Damascus' Syria camp for the second day in a row, a spokesperson told Ma'an. "Against a background of profound civilian suffering, UNRWA staff carried out another full day of food aid distributions in Yarmouk, the Palestinian refugee camp in Damascus, handing out 980 food parcels," Chris Gunness said. "Since we were able to enter the camp on Jan. 18, we have distributed a total of 2,144 food parcels. This achievement needs to be put into perspective, given that one UNRWA food parcel will feed a family of between five and eight people for just 10 days." If the support of the Syrian regime, PLO and and local charities is maintained the refugee agency would be able to immediately provide food for 18,000 camp residents, Gunness said. "The large crowds of desperate people waiting to receive food parcels attest to the massive needs that have yet to be met. 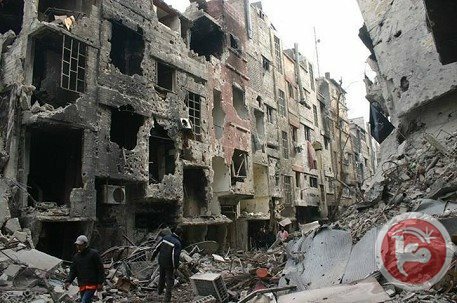 UNRWA has received assurances that Syrian authorities will continue to facilitate and support the delivery of assistance inside Yarmouk," he added. Martin S. Indyk, the special envoy for Israeli-Palestinian negotiations, said that Washington is exerting efforts to reach a peace agreement between the Palestinians and Israelis. Indyk added that US Secretary of State will propose the "framework" accord within a few weeks, which would set the terms for a final negotiation. The agreement will include compensation for Palestinian refugees who left land in what is now Israel, and will also reference the right to compensation for Jews who were forced to flee Arab countries after the founding of Israel in 1948. The document will address the core issues that have long consumed negotiators: borders, security for Israel, the status of Jerusalem, mutual recognition and a right of return for Palestinian refugees. Indyk told the Jewish groups in America that if the framework were to be accepted by both sides, the peace talks could be extended beyond the nine-month time frame set last summer by Kerry. The new goal, he said, would be to sign a treaty by the end of 2014. Kerry is preparing to announce the framework agreement at the beginning of February. 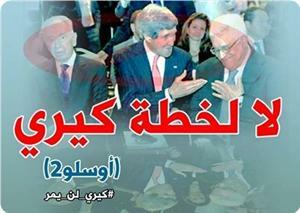 The Palestinian negotiation delegation, headed by Saeb Erekat finished 3-day intensive discussions with Kerry. A chief US negotiator told Jewish leaders on Friday that a framework agreement would be presented to the Israeli and Palestinian sides within weeks, Israeli media reported. Haaretz reported that Martin Indyk, special envoy for Israeli-Palestinian negotiations, told the leaders that the agreement would address Jerusalem, Palestinian refugees, security, mutual recognition, land swaps, and borders. Indyk said the agreement would be the basis for a final deal by the end of 2014. 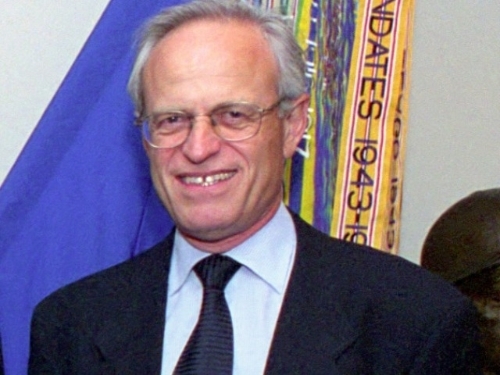 The framework will be vague on the status of Jerusalem and other sensitive issues, Indyk said. But it will also make specific proposals for other major points of contention. He said a new security arrangement would be proposed for the border between the West Bank and Jordan. The framework will offer compensation for Palestinian refugees, and also for Jewish settlers moving back to Israel, he said. 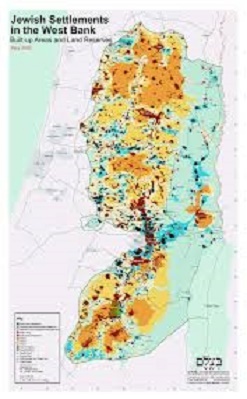 However, a majority of settlers -- 75-80 percent -- would be able to stay as a result of land swaps which would render areas of the West Bank part of Israel. The agreement will additionally identify "Israel as the nation state of the Jewish people and Palestine as the nation state of the Palestinian people," Indyk said. Abbas and other chief Palestinian officials have repeatedly stated that they would not recognize Israel as a Jewish state, an Israeli request that has dominated the current round of peace talks. 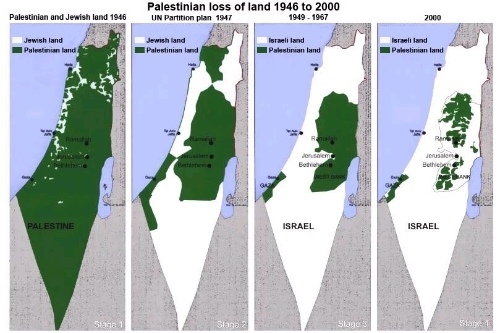 The officials say recognizing Israel as a Jewish state would threaten the rights of nearly 1.3 million Palestinian Arab citizens of Israel who remained in their homes during the displacement of the majority of the Palestinian population during the 1948 war. Employees of the UN agency for Palestine refugees suspended their strike after reaching a framework agreement with the agency's commissioner-general, a union official told Ma'an. Palestinian UNRWA union chief Suheil al-Hindi told Ma'an that all protests and strike actions were suspended after signing a framework agreement with UNRWA's administration. Joint committees will be created and tasked with reaching a final agreement on several disputed issues, al-Hindi said without elaborating. He said that in the meantime, UNRWA's commissioner-general Filippo Grandi pledged that there would be no changes to small fund projects without consulting the Palestinian unions. An UNRWA spokesperson was unable to be reached for comment. Grandi said Sunday he was willing to hold constructive negotiations with the Palestinian union once its strike ended. He said in a letter to Prime Minister Rami Hamdallah that "once the union strike ends, and the services of the agency fully resume in the West Bank and East Jerusalem, the agency's administration will be ready to start negotiations in a constructive way." 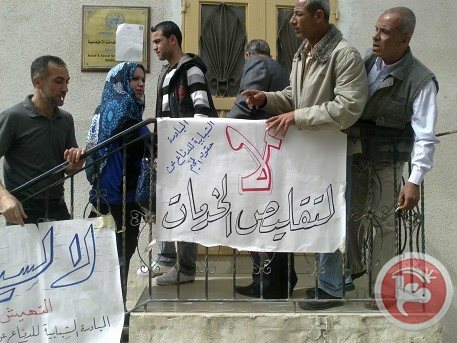 Palestinian UNRWA employees have been on strike for over two months in protest of low salaries and UNRWA policies regarding employees who are detained by the Israeli military. Last Thursday, UNRWA's administration and unions met in an effort to end the strike, which has kept schools closed and severely limited provisions of basic services to Palestinian refugee camps. An aid convoy carrying over 900 food parcels entered the besieged Yarmouk refugee camp in Damascus on Thursday, an official from the UN agency for Palestinian refugees said. "The distribution is on going. This is the first aid to enter the camp since January 21, by when UNRWA had distributed 138 food parcels," UNRWA spokesperson Chris Gunness said. The UN official said the delivery of around 600 food parcels was encouraging and there was cooperation on the ground between different parties. delivered because the numbers of those needing assistance is in the tens of thousands, including 18,000 Palestinians, among them women and children," he added. Besieged since June, the 18,000 remaining residents of Yarmouk camp have been forced to eat stray animals to survive amid critical food shortages. Some Palestinians joined the rebels, others backed pro-regime groups, mainly the Popular Front for the Liberation of Palestine-General Command. 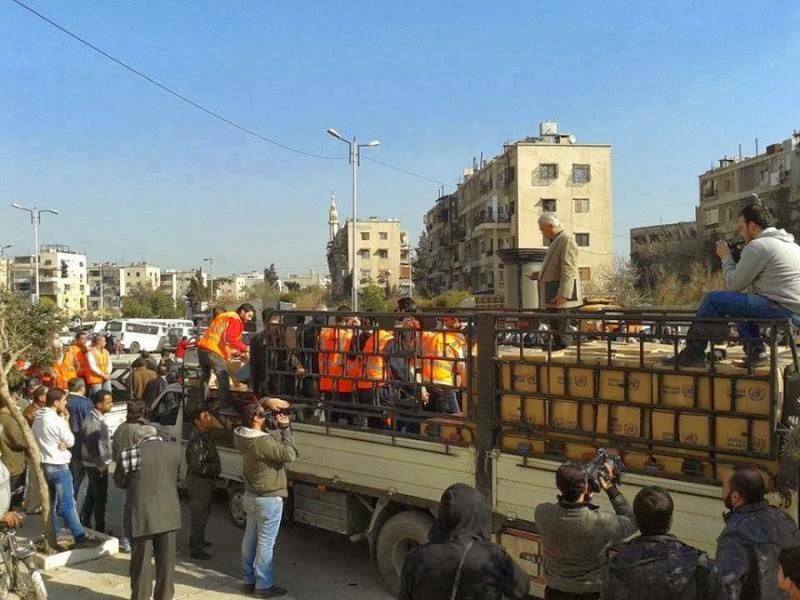 Fatah central committee member Abbas Zaki said Wednesday he expected supplies to enter Yarmouk refugee camp later the same day. “The ways in which the supplies will enter the camp will be surprising,” Zaki said without elaborating. The Fatah official added that despite the PA’s efforts only 150 food parcels so far entered the camp, which is home to 20,000 Palestinian refugees. He explained that contacts with Syrian security forces would facilitate the transfers.